Saute onions till golden. Add ground beef. Cook till no pink is seen. Set aside to cool. Mix all ingredients together. Be sure meat & onions have cooled slightly before adding eggs. 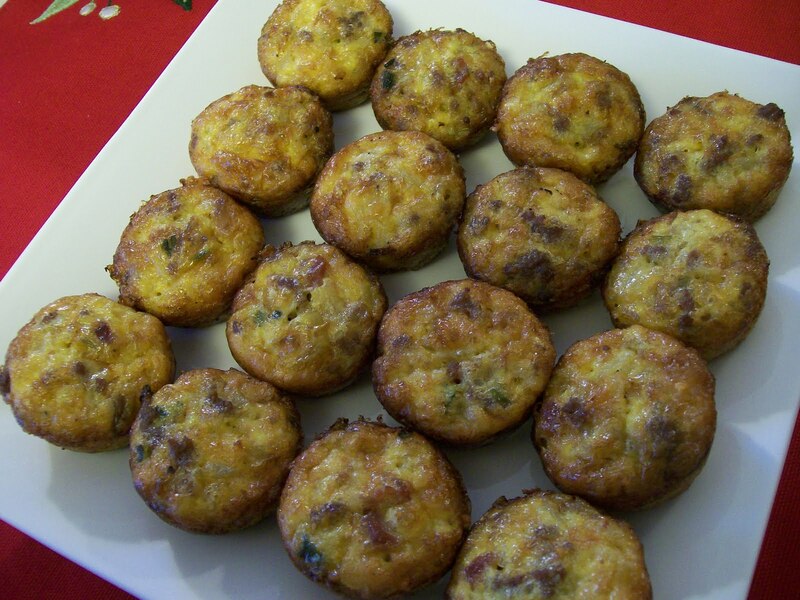 Spoon into lightly greased mini muffin tins. Bake for 30 minutes at 350. Makes 24.